Decision-making in institutional/professional settings has remained an established theme for social science and communication researchers. In contemporary western societies, the conditions of decision making are rapidly changing with the foregrounding of division of professional labour and distributed expertise against the backdrop of a client-centred ideology that legitimises shared decision-making. Increasingly, in health and social care settings, key decisions concerning clients are arrived at in team meetings, which have consequences both for the decisional processes and outcomes. 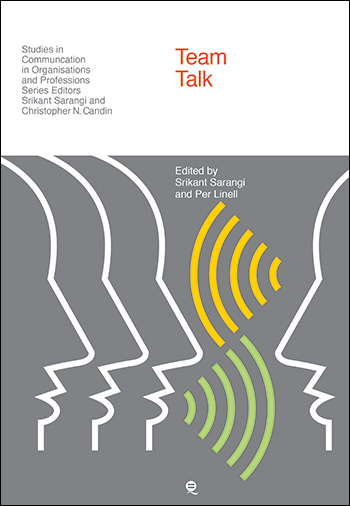 This edited volume for the first time brings together a number of empirically grounded studies focusing on how team talk is functional to decision-making (in terms of problem formulation, generation of options, assessment of solutions etc. ), with tensions, at the interactional level, between institutional and professional ways of categorising people, events and evidence. I joined the University of Manchester in 2013. Prior to this I was employed as a Senior Lecturer at the University of Lancaster where I set up and led the Child Welfare Research Unit. As a qualified social worker, I have extensive reseach and practice experience in social work with children and families, with specialist interest in the social work/family court interface, looked after children and adoption. I maintain very close engagement with practice agencies through collaborative research and knowledge exchange actvities. I regularly provide seminars and research briefings to practice and policy audiences. My educational background reflects lengthy engagement with the social sciences. My undergraduate studies were in Psychology at the University of Hull, followed by postgraduate training in social work at the University of York. In 2002, I obtained a bursary from the University of Central Lancashire which enabled me to study full-time for a PhD. My doctoral work examined lay views of help-seeking in connection with problems of parenting and the welfare of children. I used methods of micro-analysis to examine lay conversations about informal relationships of reciprocal support and help-seeking patterns. More recently, having been fortunate enough to to gain funding for a number of studies focused on pre-court social work, care and adoption proceedings, I have been able to further my interest in socio-legal research. Social work research at Cardiff. Andrew Pithouse has a personal chair in social research and brings a multi-disciplinary focus to the field of child and family services where he has an established record in research and publications that draw on social policy, social work, sociology and organisational theory. Andrew Pithouse worked in industry, local government and the voluntary sector before developing a career in higher education. He has now researched and taught in social work, social policy and sociology for some two decades. He was Director of Social Work Studies at Cardiff until 2006 and retains a close interest in training in social work. Sue is Professor of Social Work for Children and Families in the School of Social Policy, Institute of Applied Social Studies. She is also an Academician of the Academy of Social Sciences. Elisabet Cedersund is a Professor of Social Work. Her research explores various aspects of communication in social work. She has conducted research on the client/social worker encounter, on the interaction between older people with Alzheimer´s disease and health-care professionals and on other situations in which people encounter officials. 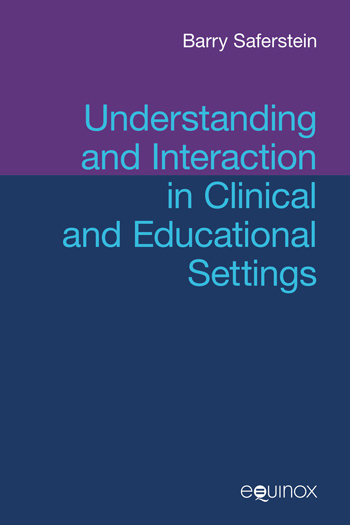 Several of the studies deal with human interaction in various types of casework where oral communication is used as the basis for decision-making. Other studies have explored interaction among various professions and organisations, as well as change processes and organisational development in municipal services and private enterprise. Anna joined us in 2001 as a doctoral candidate and is working on a dissertation that is the crossroad between social work, care management and communication studies. Its aim is the study of older people’s perspectives on institutional interaction within the context of home care. Methodologically speaking, Anna combines conversational and discourse analysis in an attempt to nuance our understanding of both, how assessment decisions are made in the context of elderly care and how the care recipients themselves – and their families – think, perceive and talk about the impact that home care has in their everyday lives. The research project is aimed at exploring and describing collaboration in health and social care, with a focus on the clients and the professionals´ perceptions and the structure of collaborative care in micro-systems. 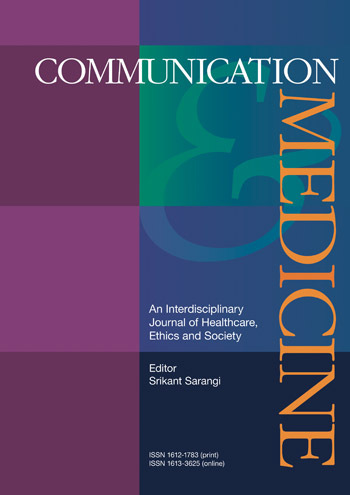 The aim of the preliminary study was to explore how members of multi-profession healthcare teams talk about their team. In the second study the aim was to identify and describe difficulties perceived by health professionals in inter-profession team projects. Statements regarding verbal actions and resolutions were explored to enable discussions of the implications for inter-profession learning. In the forthcoming studies the focus will be on how clients, relatives and professionals experience client involvement in the team and in micro-systems. The studies are being held within the framework of the research programme “Bridging the Gaps”. Srikant Sarangi is Professor in Language and Communication and Director of the Health Communication Research Centre at Cardiff University, Wales, UK (www.cf.ac.uk/encap/research/hcrc). He is also Professor in Language and Communication at Norwegian University of Science and Technology (NTNU), Trondheim, Norway; Honorary Professor at the Faculty of Humanities, Aalborg University, Denmark; and Honorary Professor at the Centre for the Humanities and Medicine, The University of Hong Kong. His research interests are in discourse analysis and applied linguistics; language and identity in public life and institutional/professional communication studies (e.g., healthcare, social welfare, bureaucracy, education etc.). He has held several project grants (Funding bodies include The Wellcome Trust, The Leverhulme Trust, ESRC) to study various aspects of health communication, e.g., genetic counselling, HIV/AIDS and telemedicine. The other areas of healthcare research include communication in primary care, palliative care, with particular reference to assessment of consulting and communication skills. He is author and editor of 12 books, 5 journal special issues and has published nearly 200 journal articles and book chapters. He is the founding editor of Communication & Medicine, editor of TEXT & TALK: An Interdisciplinary Journal of Language, Discourse and Communication Studies (formerly TEXT) as well as co-editor (with C. N. Candlin) of Journal of Applied Linguistics and Professional Practice. He is also general editor (with C. N. Candlin) of three book series[es]: Studies in Applied Linguistics; Studies in Language and Communication; and Studies in Communication in Organisations and Professions. He serves as an editorial board member for other journals and book series[es], and as a consulting advisor at many national and international levels. His involvement in professional societies include membership of the Executive Committee of the British Association of Applied Linguistics (BAAL, 1997-2002) and Member-at-Large of the Executive Board of the International Association of Applied Linguistics (AILA, 1999-2002). He is also the founder of the annual interdisciplinary conference series, Communication, Medicine and Ethics (COMET) and Applied Linguistics and Professional Practice (ALAPP). Over the last ten years, he has held visiting academic attachments in many parts of the world. Eamon Merrick is a Registered Nurse and a lecturer at the Sydney Nursing School, the University of Sydney. Eamon has a research portfolio that focuses on health services workforce, primary health care, and the quality and safety of care. He has led and managed national research projects which have changed clinical practice, federal policy, and informed national legislation. His work has been recognised and awarded by leading government and industry groups. Eamon has over ten years experience of critical care nursing, and has held senior administrative and managerial positions. Neil is Senior Research Associate in the School of Geography Politics and Sociology at Newcastle University. He is a currently a co-investigator on the ESRC funded ‘The Value of the University Armed Service Units’ project with Dr Alison William and Prof. Rachel Woodward (2012-14). He was recently co-investigator on the ESRC-funded project ‘The Social Production of the Contemporary British Military Memoir’ (2009-2011). Neil was also the researcher on the ESRC-funded study ‘Negotiating identity and Representation in the Mediated Armed Forces’ with Dr Trish Winter and Professor Rachel Woodward (2006-07). I arrived in Hong Kong in December 2003 after completing my PhD studies in St. Petersburg, Russia, and have researched and taught in this vibrant city ever since. My areas of expertise and research interests broadly include interactional approaches to professional communication, in particular in healthcare and business settings. In the past few years I have been working on a number of research projects studying social interactions in the genetic counselling and prenatal screening contexts in Hong Kong in collaboration with public hospitals and the Clinical Genetic Services of Hong Kong. I have also been studying business interactions in a number of large international corporations and privately-owned businesses.Currently I lead the Health Communication Research Cluster at the Center for the Humanities and Medicine, HKU where I also serve as a Board Member; and I am a member of the Consortium on Clinical Genetics and Genomic Medicine (Hong Kong West Cluster (HKWC)/HKU) that strives to improve genetic and genomic services in Hong Kong. Besides work, I also love spending time with my two sons and enjoy trail running around Asia. My main research interests are professional and medical communication. I am particularly interested in leadership, and the crucial role that communication plays in leadership performance. I have researched and published widely on various aspects of leadership discourse, gender, the multiple functions and strategic uses of humour, politeness and impoliteness, identity construction, the role of culture, decision making and advice giving, and other aspects of workplace discourse in a range of professional and medical contexts.